NEW BRITAIN - A Middletown man who made the flower arrangements and bouquets for a 200-person wedding from his garage at age 17, recently took over JE Flower Shop, which will soon be called New Britain Flower Shop. 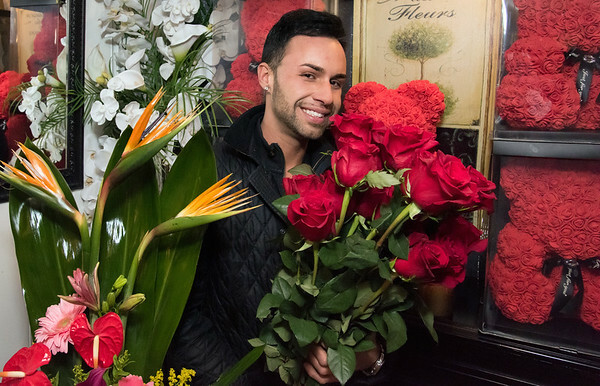 Nick Erlacher is the new owner of JE Flower Shop at 141 Broad St. He purchased the business from Evona Koziel, who owned it for 12 years. Erlacher said he has always enjoyed being around flowers. From a young age, he created flower arrangements from home. Erlacher held a job at Wild Wisteria in Durham, a role that helped him develop more creativity and uniqueness when making flower arrangements, he said. The 25-year-old is a third generation Polish American. Last summer, Erlacher was in Poznan, Poland and he went into a small flower shop, where he told himself he wanted to have his own one day. “What a better place to own it than in Little Poland in Connecticut?” Erlacher said. He then started working at JE Flower Shop, as the former owner started to think of selling the business. “After a while of working here we became close to each other and she could see my passion that I always loved being here, working with the people. I loved being in Little Poland and loved the flowers,” Erlacher said. Erlacher, who won Mr. Polonia Connecticut 2015, is now the youngest business owner in Little Poland. Erlacher is looking to spend around $5,000 in renovations inside and in the front of the business by mid-spring. One of Erlacher’s long-term goals is to help improve the community and the look of the place with the purpose of drawing more people to visit the Little Poland area. The soon-to-be called New Britain Flower Shop now has more merchandise including gift baskets, memory lanterns, candles and other items. “I’ve been blessed with the support of family, friends and the local community,” Erlacher said. JE Flower Shop is open Monday through Friday 9 a.m. to 6 p.m., Saturday 9 a.m. to 4 p.m. and Sunday by appointment for event consultation. To learn more about JE Flower Shop, call or visit . Posted in New Britain Herald, Business, New Britain on Monday, 11 February 2019 19:56. Updated: Monday, 11 February 2019 19:59.